On Thursday, February 28, the School of Kinesiology opened labs in Osborne, War Memorial Gym, and the Chan Gunn Pavilion to students once again. 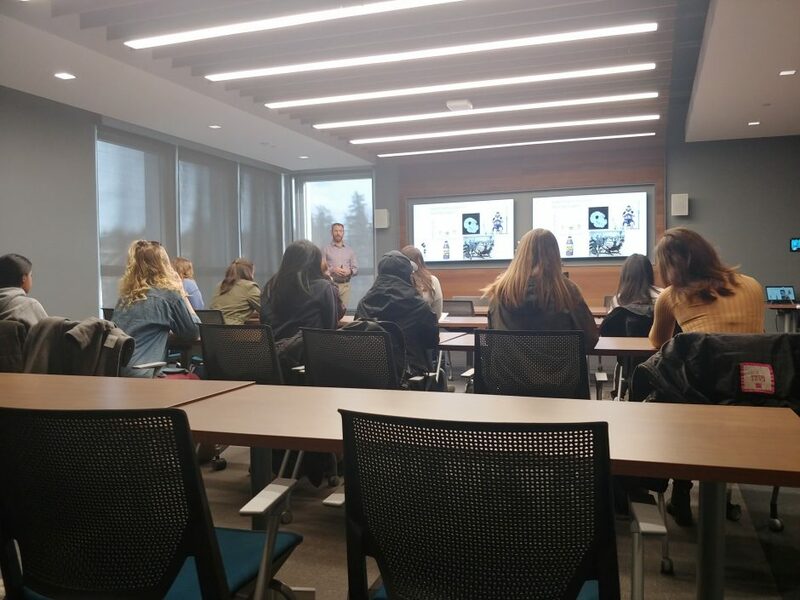 This biannual event expands students’ knowledge about the type of research that exists within the School and shares how they can get involved as undergraduate students. This semester was the first time the lab crawl was run with two concurrent student groups in attendance. This semester, 37 students visited Dr. Nicola Hodges’ Motor Skills Lab in War Memorial Gym, Dr. Mark Carpenter’s Neutral Control of Posture and Movement Lab in Osborne, and Dr. Robert Boushel’s Cardiovascular and Muscle Metabolism Lab in Chan Gunn. Several of the day’s speakers talked to the value of having undergraduate students participate in their research, and that getting involved early in an academic career is a great way of exploring different avenues and seeing what you connect with personally. Thanks to Will Aesoph, Shalom Howe, and Elise LeBrun for planning and organizing the event, and helping coordinate the groups on the day of the event.